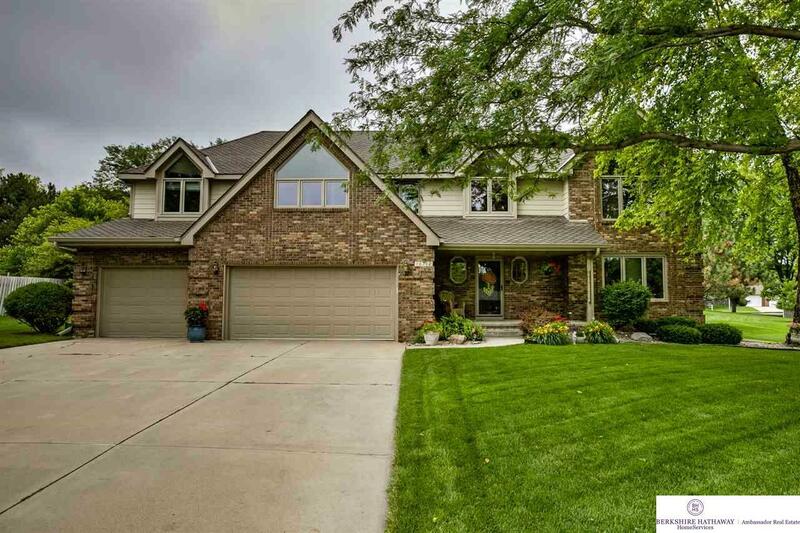 Gorgeous 2 story family home in sought after Armbrust Acres. Formal living and dining room with spacious eat-in kitchen. Kitchen has large island, bay window, pantry and stainless steel appliances. Cozy up in the family room with brick fireplace or enjoy the large backyard from the patio. Laundry room is conveniently located on the main floor. Relax in the Master Suite with large walk-in closet or soak in the whirlpool tub. Steps to Zorinsky Lake to paddle board & kayak. New Dual HVAC system.